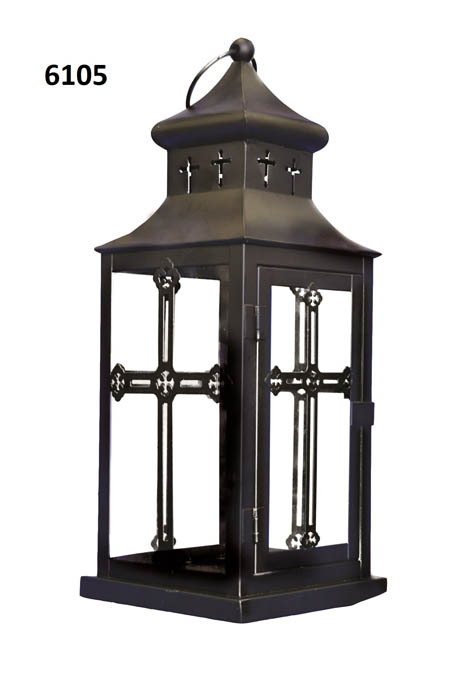 This is a Large Metal Lantern with clear glass. It has a large cross on each of the 4 sides. 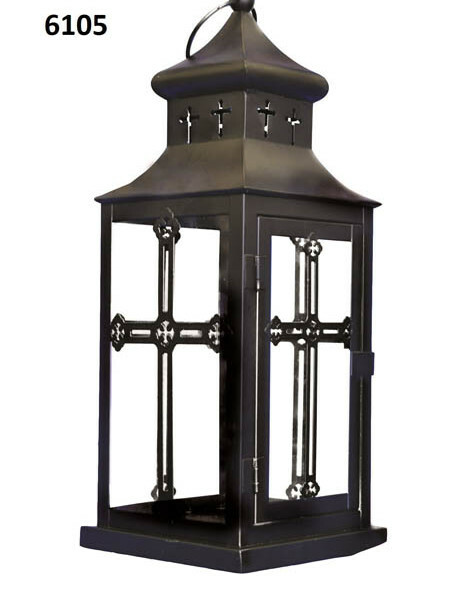 It can hold a large candle or flickering light product.